We’re about three years into Windows 10, and we’ve seen a lot of changes to the OS, as well as the servicing model, in those three years. 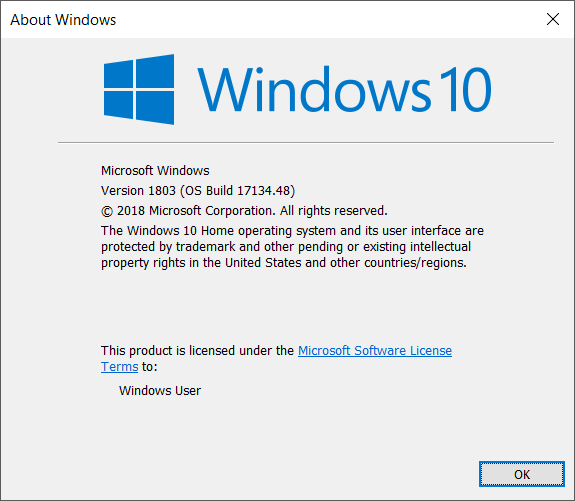 The move to no longer offering major OS updates every couple of years with a new name, and requirement for purchase, is very welcome, and has likely been the biggest success of the Windows 10 launch. Microsoft has also refined the servicing model to a more consistent pattern of two updates per year, and while that can either be a pro or a con depending on where you stand, they’ve met that over the last couple of updates. With the Windows 10 April Update, which is version 1803, we’ve got arguably the smallest update yet in terms of new features, but that’s not really a bad thing. Three years in, the OS is mature enough that it’s good to see the company dialing back on the major interface changes, and hopefully focusing more on consistency, and reliability. There’s still a lot of new features for the April Update, but only a handful of what you’d consider major feature additions to Windows. There’s Timeline, Nearby Share, Focus Assist, and Progressive Web App support being the most noticeable user-facing features, but there’s also a lot of little changes under the hood as well, such as more use of their Fluent design language across the OS, a continued movement of replacing the Control Panel with the new Settings app, and improvements to visibility of privacy information, among others. It’s also worth discussing the state of Windows right now in the grand scheme of Microsoft. Terry Myerson, who has been the EVP of Windows and Devices for Microsoft for almost five years, and who has been the driving force behind the new Windows 10 model of constant servicing rather than large updates every couple of years, announced his departure from Microsoft in March of this year. Microsoft is in the middle of a transition from their legacy applications such as Windows and Office, to a cloud computing company based on services, and Windows is no longer going to be the driving factor there. As such, the former crown jewels of the company are being pushed to the outskirts. It’ll still be an important platform for Microsoft, but growth for the company is going to come from other places. What this will mean for Windows 10 is likely going to be a reduction in resources allocated to its development, although that’s speculation at this time. It would not be surprising to see future updates scaled back in terms of frequency though. Considering the maturity of Windows 10 now, and the major foothold it has in the enterprise, a yearly update would likely make more sense anyway, so this might not be a bad thing. We’ve also seen the latest April Update falling into some issues with delivery, thanks to some critical bugs found right before it was set to ship. This delayed the shipment of the new update until the very last day in April, which was only symbolically important because someone decided to call it the April Update. In reality, it wasn’t being pushed to anyone in April, but was available for people to manually get it. But as of this writing, the official rollout seems to be very slow to start, so perhaps there’s other issues holding up deployment, much like the incompatibility with the Intel 600p. That’s unfortunate, since the Fall Creators Update was pretty quick to rollout, but even with a massive beta test network in the Windows Insider Program, it proves again how difficult it is to do Windows as a Service on a regular schedule. But, once it does start rolling out through Windows Update, there will be some new things to check out, so let’s take a look at some of them.